Not sure where to post this, but every official forum run by yabb seems to have quite substantial problems. Aled Jones' official forum doesn't function. Vittorio Grigolo's official forum doesn't function. Katherine Jenkins's official forum doesn't function. Hayley Westenra's official forum doesn't function. When is the record company of all these artists going to get serious? Totally unacceptable that an official record company uses decrepit, free software to try and run official forums. They aren't taking their artists seriously. Of the forums you mentioned, I have only tried Hayley's but I found no problem there. I was able to navigate my way around the boards with remarkable speed. The only thing wrong was the number of users online which stated, "0 Guests, 0 Users". I found that surprising considering I was there! Mmm, I see what you mean. I suppose we can only hope that yabb are aware and that they sort it out pretty quickly. The only thing Admin could do would be to use different software which means losing all existing posts and starting again. Of course, the members would be welcome to join HWI! Now, that would be the way to go eh?? The record company should get rid of this rubbish. Then again, they have always tried to cheap-skate themselves through these problems. Now, give us a serious forum, please. And try to provide us with some excuse about the latest disaster. I think the record company involved with Hayley, Vittorio and who-else you have on your books deserves some real explanations. I share your frustration but there is little we can do other than to offer their members an alternative forum. I will now take a wild guess as to a possible reason for the current problem but I admit this may have nothing to do with it. Over the past two weeks, there have been a total of 12 highly inappropriate posts made to Hayley's official forum. I have been advised that the same thing is occurring on many forums. They have been reported and dealt with quickly but that has not stopped the problem from recurring. It is just possible that posting has been deliberately disabled on all affected forums until a permanent solution has been found. It might be advisable, therefore, not to assume at this stage that it is caused by any inadequacy of the software. Hello Roger, Gerrit and everybody! There's definitely something wrong with the official forum today. I just posted in the 'Vote for Hayley' thread and it cut the bottom of my post off. After several failed attempts to complete the post, I shortened it to get it all in. Also it doesn't show that I've edited it! I didn't even register to the official forum because I wasn't interested by the topics held there. Their members should rather come here!! I share your sentiments, Stephany. I changed my mind for several reasons. 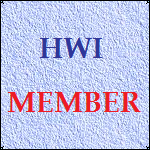 people like Roger and Richard did adding [HWI] to their usernames, helping to advertise us to them. Richard often quotes from there and if one were to participate in interchange one might further help to make them aware of us. Looking at it recently, still trying to get in to participate I notice under their Links they make a very nice tribute to the guys running this site. Therefore, I think there is a lot to be gained for Hayley's benefit by cross-fertilisation. Interestingly, as Roger has informed us in the past, their higher 'membership numbers' do not translate so well into a higher level of 'contributors'. Therefore, since the value of a site is the diversity and number of pro-active contributors, we do a service to their quite large passive viewers by making them aware of what we can offer and therein ensure they are as Hayley aware as possible. That can only be to her ultimate advantage in widening the spread of informed awareness. Thanks for picking up on that as it allows me to explain the reason for the [HWI] suffix to our screen names. It was not exactly done to promote HWI as such, but if it does, so much the better. The main reason was to enable the members of the official forum to easily identify the HWI Management Team so they could, if they wishes, submit anything for inclusion on our site. More of an advertising campaign (I hope!) is the inclusion of a link to the HWI and AAI main sites within my signiture, and Richard has links in his to this forum. We are not trying to entice people to defect from hw.com to HWI, we are merely offering an alternative. Do they? Well, I wish I knew who they were! that we intend complementing and expanding the knowledge base NOT to be in competition with them. Sorry if I wasn't too clear on that essential issue. Talk about reading what you expect to read. As you quoted from my originaI I read-in the missing words the first two or three times I read your quote, trying to work out what you meant! I've just caught on. We've enjoyed quite a repartee these last few moments. Blame my underactive thyroid on my slight obtuseness of wit. It (the underactive thyroid) slows everything up. Hayley's official forum is in a very bad way this morning. All the posts on most of the boards have disappeared, so there's not much point in visiting it at the moment. I think it's been hit by a virus.